Agatha Christie exhibition coming to Derby, UK. 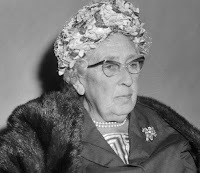 Agatha Christie, 17 Dec 1964. Pickford's House in Derby, United Kingdom, is hosting the exhibition "Agatha Christie: Mysteries, Murder, and More" from June 2 to November 3, 2018. The exhibition will feature books and objects related to Christie's life and work. This short comedy film involving the theft of Norma Shearer's jewelry was produced to benefit the National Variety Artists tuberculosis sanitarium, with stars such as Wallace Beery, Joe E. Brown, Maurice Chevalier, Gary Cooper, Joan Crawford, Irene Dunne, Douglas Fairbanks Jr., Hedda Hopper, Buster Keaton, Laurel and Hardy, Victor McLaglen, Edward G. Robinson, Barbara Stanwyck, Fay Wray, Loretta Young, and Petey the Dog. In Brandy for the Parson, a couple become entangled with smugglers. Based on the novel of the same name by Geoffrey Household (best known for Rogue Male), the film stars Kenneth More, James Donald, and Charles Hawtrey. 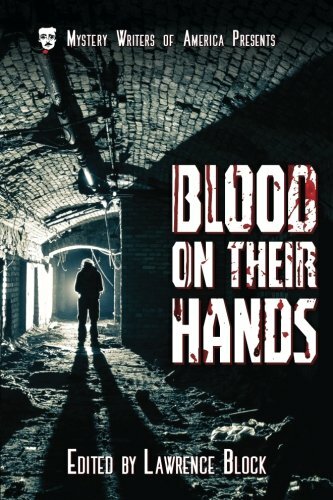 The MWA Classics edition of Blood on Their Hands has been published and is now available in paperback and ebook from amazon. Edited by Lawrence Block, the collection focuses on characters who take the law into their own hands. 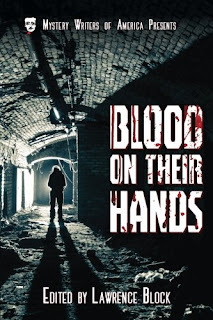 "No Man's Land," my Agatha-winning and Macavity-nominated short story set in World War I, is included in the collection, along with stories by Rhys Bowen, Marcia Talley, Elaine Viets, and the late Jeremiah Healy and Henry Slesar. In The Green Scarf, Michael Redgrave defends a deaf, dumb, and blind man accused of murder. On view until June 8 at the Lawrence Library in Pepperell, MA, is "Mysteries Revealed Book Illustration: Nancy Drew and the Hardy Boys," an exhibition of original cover art and first editions of both children's series. 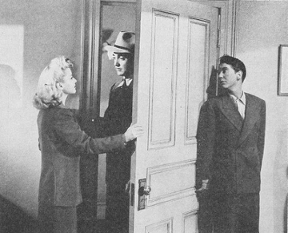 In this episode of Suspense directed by Robert Stephens and aired on 24 April 1951, a killer (Jackie Cooper) tries to escape from a building after a botched robbery, only to encounter the eccentric members of the "International Association of Assassins" (possibly suggesting the Mystery Writers of America. Blacklisted writer Alvin Sapinsley, who wrote the screenplay, later received an Edgar Award for "Sting of Death," the TV adaptation of H.F. Heard's A Taste for Honey). Mildred Natwick (clutching a cat) and Wally Cox costar. Boucher picks the best mysteries of 1951. John Dickson Carr, The Devil in Velvet. "swashbuckling romance . . . strict detection." Agatha Christie, They Came to Baghdad, . "adept . . . spy thriller." 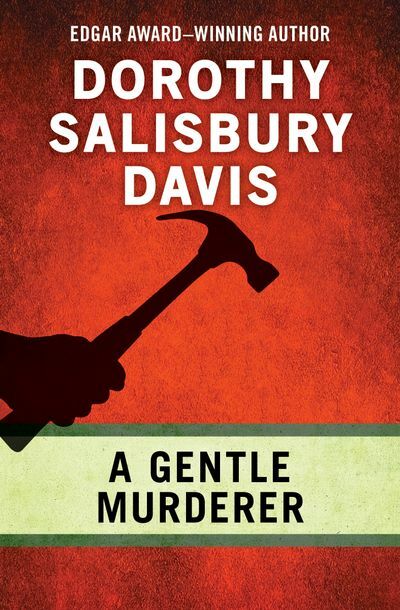 Dorothy Salisbury Davis, A Gentle Murderer. "distinguished." Cyril Hare [Alfred Alexander Gordon Clark], An English Murder . "adroit . . . social satire." Geoffrey Household, A Rough Shoot and A Time to Kill. "realistic political melodrama." Michael Innes, The Paper Thunderbolt. "funny and chilling." Eric Linklater, Mr. Byculla. "Deft." John Ross Macdonald [Ross Macdonald, Kenneth Millar], The Way Some People Die. "a worthy successor to Dashiell Hammett." William McGivern, Shield for Murder. "Complex and memorable study of a rogue cop." Ngaio Marsh, Night at the Vulcan. "Marsh's best to date." Elliott Paul, Murder on the Left Bank. "Fun." Ellery Queen, The Origin of Evil. "intricate ingenuity." John Sherwood, Mr. Blessington's Imperialist Plot. "Ruritanian spy-melodrama." Bart Spicer, Black Sheep, Run and The Golden Door. "appealing variants on the hardboiled story." Julian Symons, The 31st of February. "Striking satire." Lawrence Treat, Big Shot. "A notable novel about detectives." Woolrich's Street of Chance (1942). In Street of Chance, Burgess Meredith is accused of murder, but he has no memory of the crime or of his past. The film is based on The Black Curtain by Cornell Woolrich. Costars include Claire Trevor, Sheldon Leonard, and Jerome Cowan.